I'm feeling lazy, so today I'm just going to post photos of my beautiful home (Sevilla) away from my home (Williamsburg) away from home (Philadelphia). The entrance to the Alcazar. 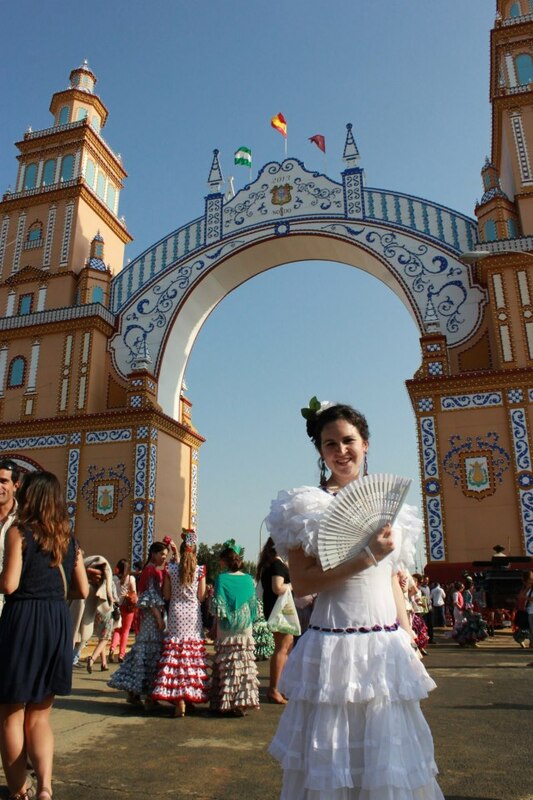 This is me in front of the gate leading to the Feria de Abril fairgrounds. (Feria is a week-long celebration that involves flamenco dancing, carnival rides, horses, food and drink). Part of the gardens of the Alcazar. The Plaza de España, as seen in Star Wars Episode II. The Cathedral, which is the third largest in the world! Las Setas (The Mushrooms), a popular hang-out spot in Sevilla. Good for tapas. You've shared some gorgeous shots of Sevilla! Wow! Thank you. Hello, Sam! I'm from the Philly area, but I sure would like to be in Seville right now! Those pictures are gorgeous. Thanks for sharing! Thanks for stopping by. Ah, I love Sevilla, but I miss Philly so much!